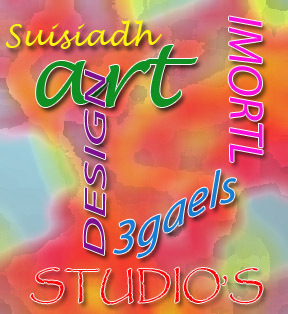 I often get asked what does Suisiadh 3Gaels mean and where did I get the name for my studio. It was a long process and I’ve had many names over the years, it’s one of those things that takes forever or at least it did me, but that could be because each time I started up my freelance design and art I would give it up for the day job dollars being a single parent that came first, so with each restart came a new name iteration. How about you, have you needed to come up with a name and just struggled with it? A long time ago when the kids were ‘wee bairns’ I toyed with the name ‘Imortl Designs’ © and the tag line of ‘for designs that last’. Then after a few years when the kids were older and I could see how creative they were and how we enjoyed doing things together I thought WOW, wouldnt it be great if we worked together. This mum had great plans. Sooo…….now you’re asking where does the name come in? I am a Scot, well half, I was born in London and my mum was from Motherwell Scotland. So after I tried lot’s of versions of 3 something’s, which didnt really work, I went with something to do with England or Scotland and finally it hit me; 3 Girls from Gaelic decent 3Gaels – I like word play. There it was the name, but once again life bellowed and my children didnt seem interested in working with their mother 🙂 so I put it aside. Then came the cancer it changes how you think, yes kids come first but so does doing what makes you happy, yes i’m going for it again, I really want to be succesful in my art, I can hear it now ‘not another name change’ this time I just used my first name and used the Gaelic spelling Suisiadh, I was happy with it. So this is what I have been using for awhile now, its how I sign all my art work. Funny thing, no one can pronounce it, kids thought it might cause an issue with marketing. So I added the 3Gaels back because in all honesty I cant pronounce it either, maybe when I was younger and family spoke the odd gaelic at home, alas no longer. The name is now Susan’s 3 Girls……Suisiadh 3Gaels! This one is the winner and thats whats in a name. 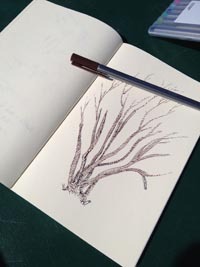 For the past few days I have been creating a collection of thoughts and ideas as well as some quickie sketches into my journal. This is something I take everywhere, which means I will never be able to carry a small handbag, yep I am one of those women with a large bag. In my defence it does have a journal, pencils, markers and rubbers (or if in the US an eraser). I also have wandered around taking photos, this is all in prep for my Hooky Day. The big plan, Taking Monday off work, shhh dont tell…I have this really bad headache….which in layman terms means I just wanna create and desperately need a mental health day! I could have spent time playing on the weekend, but by the time you finish up the household chores its sunday afternoon. Got all my stuff, Phone Check, Clicker Check, Laptop Check and a hot cuppa tea, all set have it all next to me, thought I would do some digital stuff using the photos I took and some I already have. I have some great ideas for mashups that I want to use to make tshirt designs. Lion King-Star Wars, DR Who-Labyrinth. Today though I want to combine some photos for a collage. And here they come, the pets! Between me and the laptop I have 2 cats and behind me on back of chair a medium sized dog that thinks she is a cat. They only want to be next to me when I have plans. I cant draw or use Photoshop well but I cant type around them. 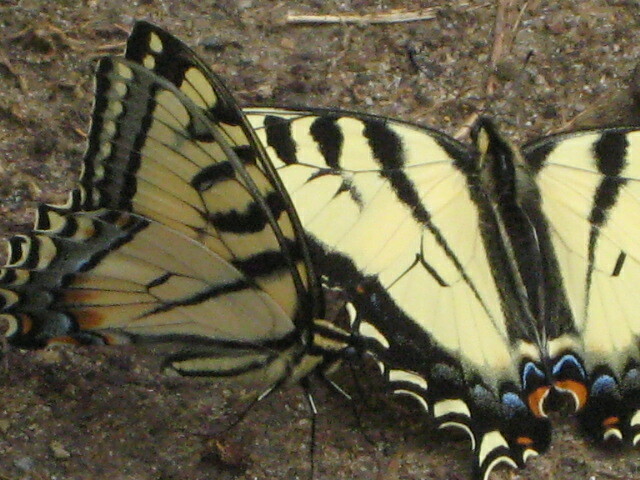 So I guess I will let them nap for a bit – maybe I will join them, besides who says you cant nap on a hooky day! 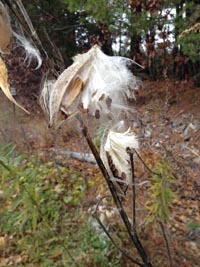 I realized this morning that summer and fall have gone and we are coming into winter, where did the time go. Time just flies by, what is it that we really do with our time. I have been working both a FT & PT job for years now, this cuts into creative time. So I bit bullet and quit the PT, yes panic attacks have insued over where the money is coming from to keep afloat, but I am determined. I am giving myself one year to get my Facebook fan page and blog moving, not to mention all the other plans I have for creating & selling my art. Earlier in the summer I stole a portion of my bedroom for the ‘studio’ which was hard to do as I wanted that clutter free relax zone. So I now have this area that is set up for me to work, all my supplies some inspirational art from artists I enjoy & all infront of a window for light in preparation for my year. Poor space, its been sitting alone since I created it, whoosh….there goes that time flying by again! I have always wanted to try and build a freelance business and sell both traditional and digital art. So I thought join some of those sites where you can sell your art, why not! I have only joined one as I wanted to see how it all works, I went for RedBubble. My first foray was well, less than great. 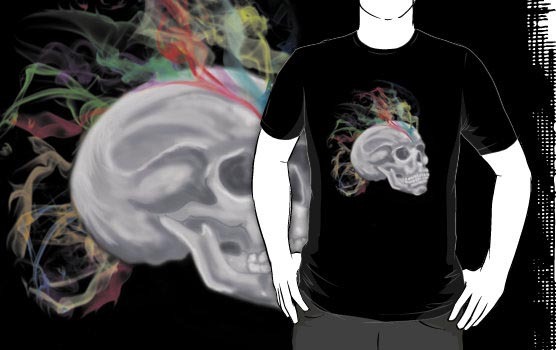 The design was solid but on a Tshirt haha, just didnt look right…..back to the drawing board, or is that digital board. All my time has been on the computer creating digital work and uploading for sale. Which would be great if I sold anything. Whoosh! Time has flown by and now its almost the end of this year, leaving me 10 Months. I have to be more conscious of what I am doing, create a daily to do, dedicate each evening to one thing. Monday-Blog, Tuesday-? and so on….whoosh whoosh, darn I just lost another 20 minutes staring at the TV. I am still playing in the digital world. Practicing with my tablet. I really like it but the brush doesn’t really work like I feel or expect it should. Online tutorials don’t really cover it well. They are all speed tutorials, don’t know about you but at my age, nope brain doesn’t run in fast mode. After several attempts at some mash up ideas I decided to set up a RedBubble account. I have uploaded a few things but no sales. For those that don’t know you can upload your art to RedBubble and people can buy it as iPod cases, posters, cards and t-shirts. I have only done cards and prints till recently. So I finally uploaded my first t-shirt design, ha I was so bloody tickled. My kids kept laughing at me I was so excited. It looked great on the computer and print I made the idea was a good one. After all practice makes perfect.